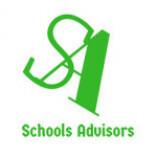 Schools Advisors.com connects your business profile and social networks into one shareable source in one place. and provides a social business network for anyone involved in education, our aim is to help share and provide information to School... Business Managers, Site Managers/Caretakers, Teachers, Support Staff, NQTs, Governors, and Companies who provide services to Schools and Academies. and information • Schools can buy or sell used equipment and resources in the Forum • Recommend companies to other schools in the Business Directory • Group areas for discussions or sharing more specific information on our forum • Advertise jobs in your schools or find your next post (for FREE) Registration is FREE no hidden costs!